Whether your main goal is to protect yourself in case of an accident, eliminate fraud attempts on your business, keep your drivers accountable, or reduce your insurance premium, equipping your fleet vehicles with in-car video cameras, such as those found in police cars, is a worthwhile investment. But which commercial-grade dashcam should you buy? What features and specs should you look for in a dashcam? Which dashcam is worth budgeting for? Our Fleet Dashcam Buyer’s Guide will cover the dashcam lens orientation and coverage options available, features that business owners and fleet managers should look for in a professional-grade dashcam, our top dashcam recommendations for fleets, and a comprehensive list of commercial dashcam available. Why should you equip your fleet with cameras? You can’t afford not to. Commercial vehicles are intentionally targeted by fraudsters looking for a quick payout. Video evidence provided to insurance companies is invaluable in determining fault. Video recording paired with a Fleet Management System (FMS) allows decision makers to review comprehensive reports on routes, speed, and driver behavior. Could a route be more efficient, resulting in lower fuel costs? Is a driver’s erratic driving putting your company at risk? Has a driver’s idle time increased this month? A complete dashcam solution with FMS objectively answers these questions for you. Confidently make data-backed improvements for your company, increasing the bottom line. Are your drivers keeping to their routes, or are they increasing your fuel bills by using a fleet vehicle for personal errands? A dashcam with GPS position and speed logging will let you know exactly where your vehicles have been throughout the day. Employees are much less likely to violate company regulations by speeding, texting while driving, driving under the influence, driving drowsy, driving aggressively, or road rage if the vehicle is armed with a dashcam. It’s like the boss is riding along on every trip. Dashcams can continuously keep watch over the vehicle, tools, and cargo just like a security or surveillance camera. A visible camera lens or a blinking light may lead to a decrease in attempted theft or vandalism. Should your vehicle be vandalized or your cargo damaged or stolen while the vehicle is unattended, your dashcam’s video footage will be vital evidence to submit to your insurance provider to cover equipment loss costs or damage/repair bills. Small business owners can monitor their delivery or fleet vehicles on a map in real-time and communicate with drivers directly with the integrated two-way communication function. Ask drivers for their ETA and have quick, hands-free conversations with your driver without distracting phone calls or text messages. Dashcams are designed to remain in your fleet vehicle at all times. Whether your fleet is equipped with a sleek and discreet dashcam like a BlackVue or a tamper-proof, industrial-grade dashcam like the VT-300, dashcam are meant to be installed once and stay put. Dashcams power on automatically when your car powers on. While most personal vehicles will power their dashcam with the cigarette lighter power outlet in their car, businesses may want to hardwire their dashcam to the fuse box for a more reliable and tamper-proof installation. Dashcams start recording automatically as soon as they power on. This leaves no room for error or the need to remember to push a button to start or stop recording, ensuring that every drive is logged and recorded. 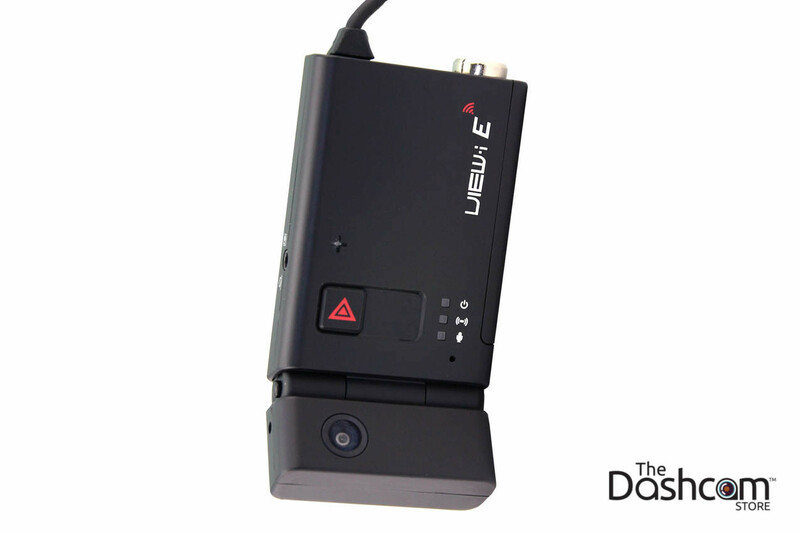 Dashcams record continuously, which is also known as loop recording. Once the dashcam has filled its memory card with dashcam footage, it will start to re-record over its footage, starting with the oldest footage first. This recording method means that you will never receive the error message “memory card full” and ensure that your vehicle is under video surveillance each and every mile. These features are what make a dashcam appropriate for commercial fleet use. Decide which of these features are non-negotiable for your specific business to help narrow down your options in order to find the best commercial-grade dashcam for your needs. A tamper-proof memory card cover gives fleet managers the authority to lock the cover while their fleet of trucks are on the road. Only keyholders are able to unlock the memory card cover and remove the card from the dashcam. A lockable memory card cover is a standard feature included in the AVIC View-i dashcam. Most dashcam for personal cars will include a 12v power cord that draws power from the cigarette outlet inside the cabin. This makes it simple for anyone in the vehicle to unplug the dashcam to cut its power and stop recording. A built-in hardwire harness prevents unauthorized disconnection of the power to the camera. This prevents drivers or passengers from disabling the camera by removing the power cable and ensures the dashcam is recording as intended by the business owners and fleet managers. Record vehicle speed and location to the dashcam’s memory card alongside the audio and video recordings. Some dashcam will display vehicle speed within the video recording files while some systems’ GPS data can be played back later using an application on a computer. The ability to refer back to GPS files is crucial for your business to refute a wrongful speeding tickets and know your drivers’ exact locations on specific days and times. It’s important to monitor your vehicle and keep your drivers accountable while your fleet is on the road, but accidents and theft attempts can happen while your commercial trucks are left unattended or are parked in the depot. Many dashcam appropriate for fleets have a parking or surveillance mode to record the vehicle and its surroundings even when the vehicle is turned off. As long as your dashcam has a constant power source, a dashcam with this feature is able to be on constant watch 24/7. Working with dashcam features like G-sensor and motion detection, your professional-grade dashcam will begin recording an event triggered by any impact or motion. If someone approaches your vehicle to test and see if your driver has left the vehicle’s doors unlocked or someone damages your truck while it is parked, the event will be recorded and saved to the memory card. Remote access allows business owners and fleet managers to interface with their dashcam system from a distance. Receive up-to-the-minute push notifications of speeding or impact straight to your smartphone, email, computer, or tablet. Watch real-time video from the vehicle and view or download the recordings from the memory card. To create this dashcam fleet buyer’s guide, The Dashcam Store team quality tested their suite of 40+ dashcam models from more than a dozen trusted brands to feature only the best of the best solutions for fleets. To be a recommended solution, dashcam must display quality video footage, be reliable, and meet the technical specifications that complement the unique needs of businesses. The following dashcam are The Dashcam Store’s top 7 vehicle camera systems specifically for professional use. A single-lens dashcam is also known as a forward-facing or a one-channel dashcam. This dashcam style is designed to be mounted on the inside of your vehicle’s windshield with the lens facing out to record the road ahead of your driver. Equipping your fleet vehicles with a streamlined, forward-facing one-channel dashcam, like the AVIC Elite, is a huge stride to protect your business. The AVIC Elite is a single lens dashcam that is mounted on the front windshield with the dashcam lens facing out to capture 125 degrees of video coverage in front of the vehicle. The AVIC Elite dashcam is an affordable one-channel, tamper-proof dashcam built for commercial vehicles. Its slim, compact design won’t obstruct the windshield or your driver’s line of sight. As an upgrade from the AVIC View-I's 720p resolution, the Elite has a recording quality of 30 fps at 1080p, capable of capturing whaever your drivers may encounter on the road. To power the AVIC Elite, connect the wire harness directly to the vehicle’s electrical system. This built-in wire harness makes this dashcam tamper-proof by preventing someone from unplugging the power cord on the camera or from the power outlet. Not only are the power sources tamper-proof on the AVIC Elite but an additional security measure is the lockable memory card cover. Only the keyholder will be able to pull the memory card to view or download dashcam footage. The BlackVue DR750S-1CH, released in September 2017, includes top-of-the-line features fit for a fleet in a sleek, low-profile design. The 750S includes STARVIS image sensors, which greatly improve image quality in all lighting conditions, even in the dark. The DR750S is the first BlackVue dashcam to record in up to 60 frames per second, which packs video data with double the information and results in the crisp, motion-free look that you find in a GoPro. This BlackVue dashcam model is cloud-capable, meaning that if you have a mobile internet connection in your vehicle, fleet managers and execs can remote in and view live footage of their vehicle. The BlackVue Over-the-Cloud live view feature is a cost-effective way for businesses to take advantage of dashcam specs that are typically found in expensive fleet management systems and software. 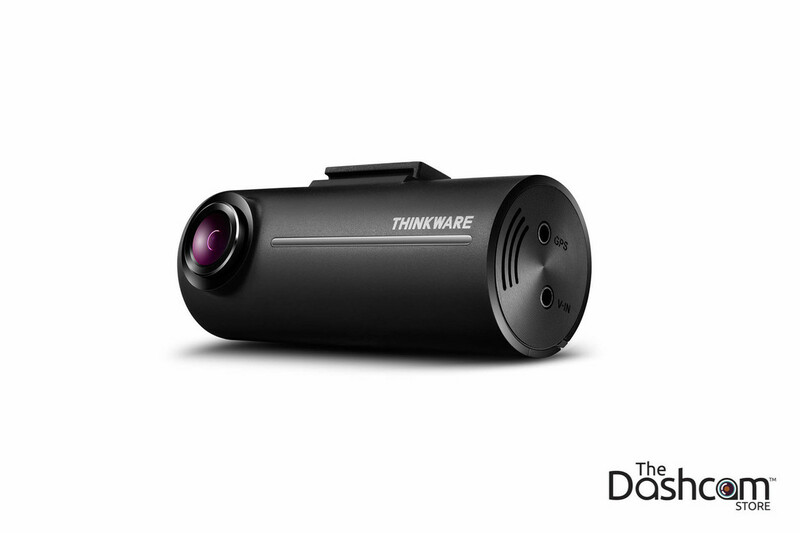 The Thinkware F100 Rear Camera (TWA-F100R) is an optional add-on that is compatible with the Thinkware F100 dashcam. Ideal for any driver or fleet manager who would like to add rear-facing coverage to the front-facing coverage of the F100 or F200. The rear camera is designed to mount in the rear windshield, facing towards the rear of your vehicle. 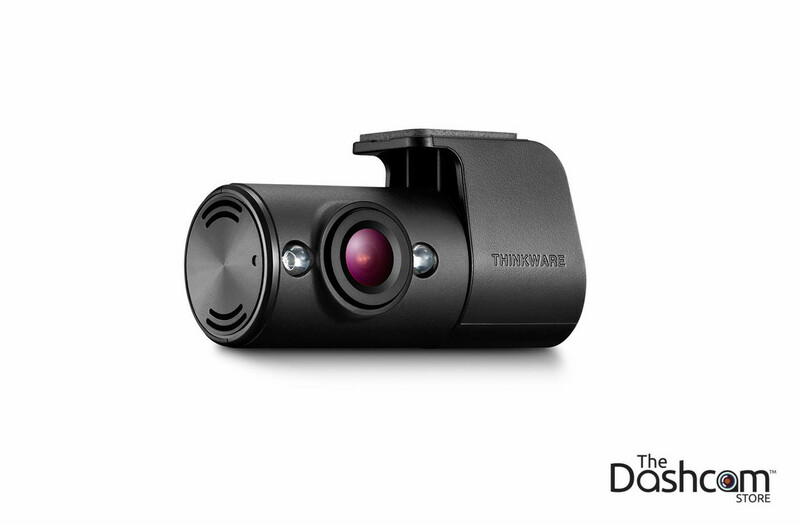 The Thinkware F100R Interior Camera (TWA-F100R) is the secondary camera that will give you camera coverage inside the cabin of your vehicle.The HD 720p video quality with infrared lights is perfect for recording the interior of your vehicle in low light or even pitch black lighting conditions. Ideal for fleets, Taxi, Uber/Lyft/TNC rideshare drivers, parents and other drivers as well who are concerned with capturing the activity inside the car as well as in front of the car. The Thinkware F100 Waterproof External Secondary Camera (TWA-F100IFRT) is an optional add-on that is compatible with the Thinkware F100 dashcam. Ideal for any driver or fleet manager who would like to add another angle of video coverage to the front-facing coverage of the F100. This secondary camera is designed to mount anywhere on the exterior of the vehicle (outside of the cabin), and can be faced towards the rear, down the side, or practically any other view point from outside of the vehicle. A two-channel dashcam system doubles the degrees of coverage and protection surrounding your fleet vehicle. While the options to mount each dashcam and change the orientation of the dashcam’s lenses to adjust the viewing angles are virtually endless, there are two main dual-lens setups. Here, we’ll go over the first option for a dual-lens dashcam: one lens to record in front of your vehicle and one lens to record behind your vehicle. For work trucks like the Chevy Express Van, Ford Transit, Dodge Ram Promaster, or the Ford F250 Superduty, the rear-facing dashcam is mounted inside the cabin and the dashcam lens faces out a rear window to record events happening behind and around the vehicle. For box trucks or work vehicles with cab guards or cab protectors, like this Ford F-350 4X4 Lariat King Ranch or a Kenworth or Peterbilt truck, the second rear-facing dashcam will need to be mounted on the outside of the vehicle. There are dual-lens dashcam for front and rear recording with an external waterproof dashcam option for the rear, like the BlackVue DR750S-2CH-IR Truck. The rear-facing dashcam of the DR750S-2CH-IR-Truck is designed to withstand the elements and record behind your vehicle or trailer. If your goal is to increase video surveillance around your truck with two dashcam lenses for front and rear recording, opt for the BlackVue DR750S-2CH. The DR750S-2CH was released in September 2017, and features high-end specs fit for the needs of a commercial vehicle in a discreet design. 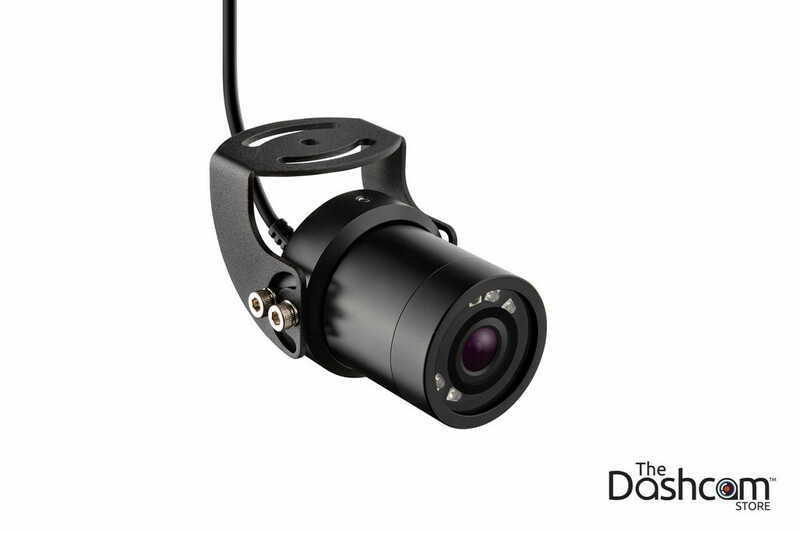 The DR750S-2CH boasts the same specs as the forward-facing lens of the DR750S-1CH, such as Sony STARVIS image sensors for clear image quality in low-light and up to 60 FPS for video data robust enough to decipher license plate numbers. This dual lens BlackVue dashcam model includes a second rear-facing lens, which records in 1080p video resolution at up to 30 FPS. 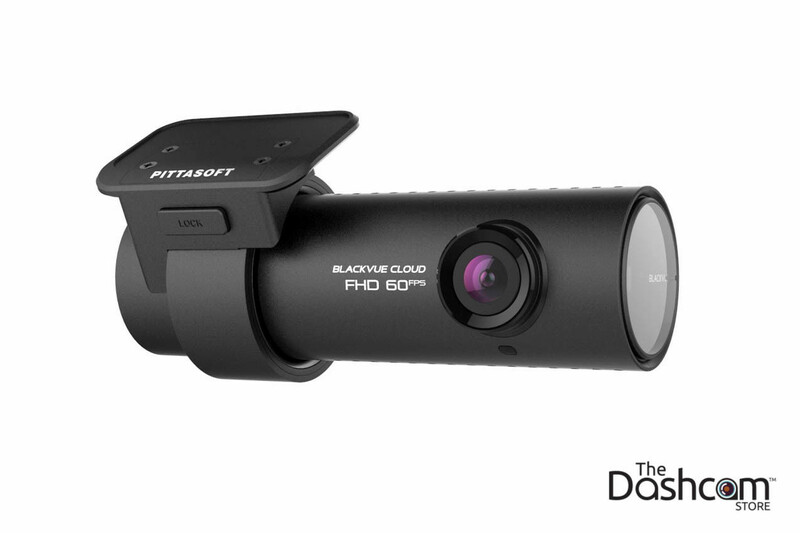 The DR750S-2CH is a cloud-capable dashcam, which means that staff can remote in through their smartphone and see live video footage from the forward-facing or rear-facing dashcam anytime, anywhere. Fleet managers can take advantage of the BlackVue Over-the-Cloud feature through hands-free two-way voice communication as a way to check-in with drivers without distracting calls or texts and receive push notifications straight to their smartphones for impacts or motion while the vehicle is in park. The BlackVue DR750S-2CH-Truck for front and rear recording is built for trucks and commercial vehicles with limited visibility or windshields, like a Ford F-350 Superduty work truck or a Nissan UD diesel flat-bed tow truck. Since the waterproof rear-facing dashcam is mounted on the outside of the vehicle, the placement and orientation options are endless. 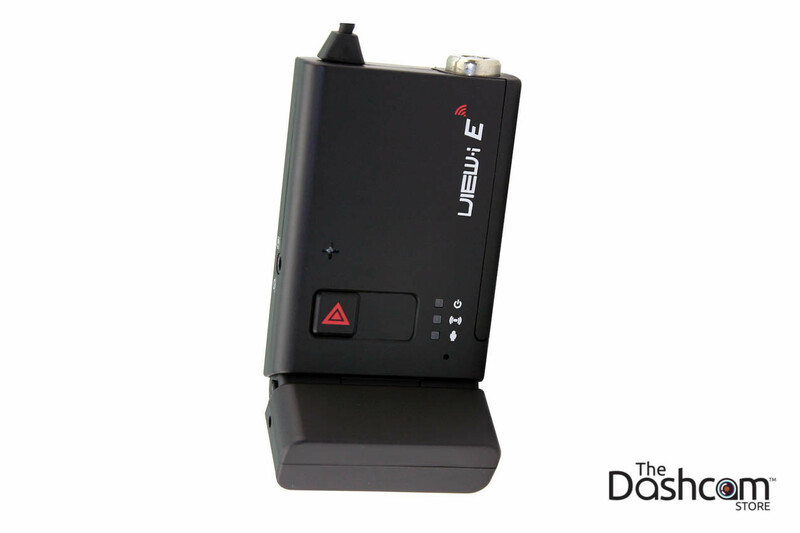 The waterproof dashcam has infrared LED lights for clear video quality, even in the rain or at night. Like the other BlackVue dashcam in the DR750S series, The DR750S-2CH Truck model records in Full HD 1080p from the forward-facing and rear-facing lens. It also includes features like remote access via smartphone with BlackVue Over-the-Cloud, speed and location data logging, and is compatible with the BlackVue tamper-proof case. The second option for a dual-lens dashcam includes one lens to record in front of your vehicle and one lens to record inside your vehicle. Some two-channel dashcam, like the AVIC, record out the front windshield as well as inside the cabin of the vehicle to record the driver, with both lenses being built in to one single unit. A two-channel dashcam intended for interior video recording includes night vision features, such as infrared (IR) illumination modules to ensure that footage inside the cabin of the vehicle and the driver is visible, even in low-light or at night. The AVIC Elite Dual dashcam is an affordable dual-lens, tamper-proof dashcam built for commercial trucks. Keep track of your fleet with the built-in GPS receiver, record in front of and inside your company vehicle, and be confident that no unauthorized staff shut off the power or delete files off of the memory card with tamper-proof features. 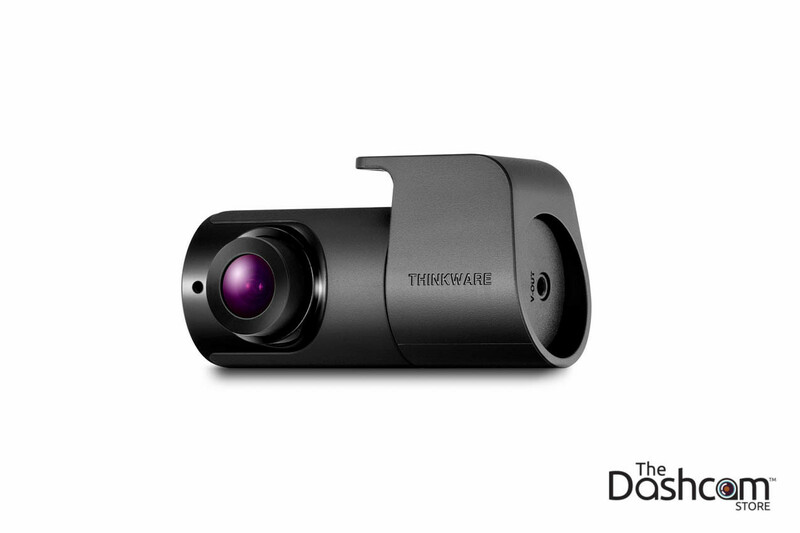 The interior-facing dashcam lens includes an infrared illumination module to enhance night vision recording. These LED lights won’t affect your driver, but will allow you to record your driver, even in low-light or pitch black. he new AVIC Elite Dual now records at 1080p Full HD video at 30 frames per second versus 720p HD video of the rock solid previous-generation HD-SL-Ruby. Like past models, AVIC's Elite Dual also records audio from inside of the vehicle. The BlackVue-Over-the-Cloud feature allows you to have remote access to your fleet vehicle’s dashcam from your smartphone. Install a mobile hotspot in your vehicle and download the BlackVue app to view live dashcam video feeds, see the geolocation, monitor speed in real-time, and receive push notifications to your phone if someone attempts to break into the vehicle while in park or if an impact is detected. The DR750S-2CH-IR is our top recommendation for the best dashcam for Uber, Lyft, taxi, or limo drivers. What does the process of selecting and implementing a dashcam solution for a business look like? 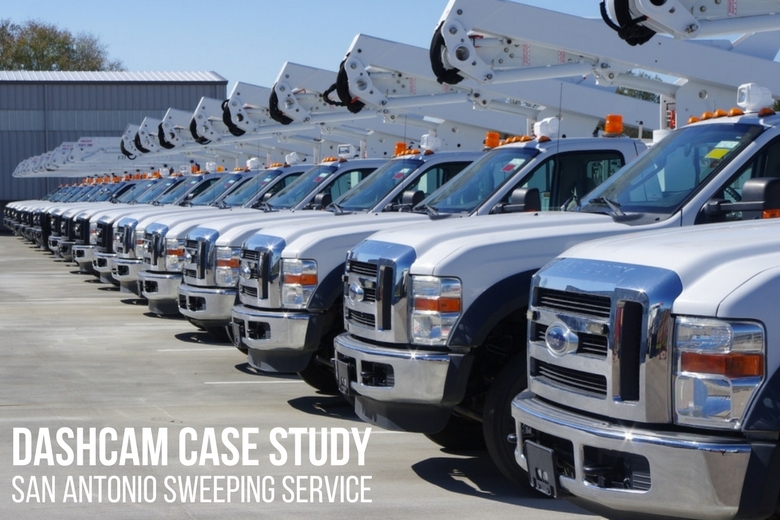 Get to know San Antonio Sweeping Service, a leader in construction, maintenance, and restoration cleaning services with a fleet of 9 work trucks. Owner Brian Cooper wanted to install dashcam in his fleet to keep his team accountable and protect his business in case any incident or accident happened on the commute to a job site. Only one week after the dashcam were installed in his fleet, one of his drivers was involved in an accident. The dashcam footage provided unbiased evidence to Cooper and to his insurance provider to show exactly what happened and prove that his driver was not at fault. Century Driving Group is a driver’s education school with a fleet of 55 sedans. Owner David Muma wanted a way to help protect his team of instructors, so he equipped his fleet of instructor vehicles with the BlackVue DR650S-2CH-IR. 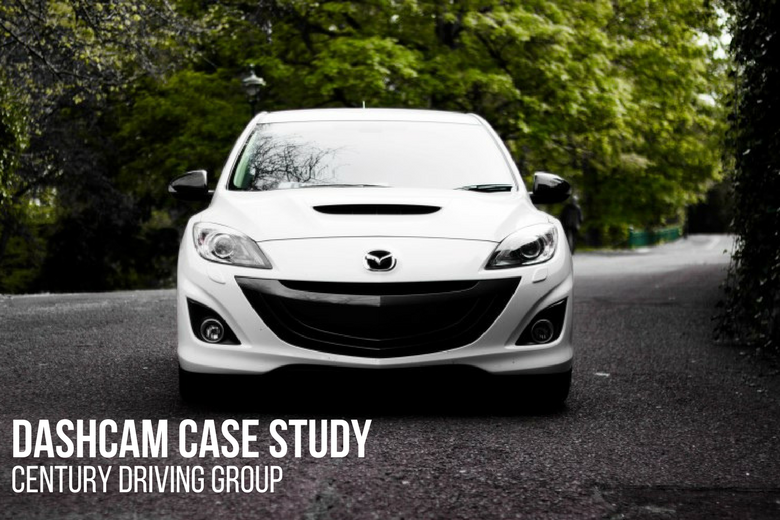 After have the dashcam installed, Muma realized that dashcam were not only contributing to increased quality assurance, but that he could use dashcam video footage as an educational tool. Instructors can now send students the dashcam footage recorded on their practice drives and use dashcam footage as a learning tool during lectures. The Dashcam Store has helped hundreds of businesses, ranging from small, family-owned operations to large-scale international companies protect their investments with dashcam solutions. Want to learn more about fleet and commercial sollutions? We can help. Schedule an initial dashcam consultation with a Fleet Sales Representative. Your business is unique, and we’re here to learn about your specific challenges, goals, and budget to help you find the best dashcam solution for your business. Use this form to request a phone call from one of our sales representatives to get your questions answered. We’re here to help you discover the right solution for you and your fleet.